Comical verses and bright cheeky prints on Funky Tart Gifts and Greetings Cards are ideal for those special big birthdays and gifts for those that love a bit of cheeky humour. For Mothers Day the Funk Tart Mug and Biscuit Tin Gift Set is sure to make her smile, the storage tin is empty, so you can either present the mug inside the tin, or fill it with her favorite cookies for that extra special treat, after all every Mum deserves time to put her feet up and enjoy her tea and biscuits. The highly glazed bone china mug is printed with a picture of Mum with a bouquet of flowers, wearing a sash over her shoulder that says “Ms Perfect” underneath the image of Mum are the words, “She’s Great”. Mum is wearing a badge that says “best mate” and she’s holding a glass of champagne to celebrate. OR STEP OUT OF LINE…. For Men on their 40th Birthday there is a perfect Funk Tart choice with both a Card and the Bone China Mug and Biscuit Tin Gift Set. YOU COULD PULL ANY CHICK……. Perhaps you know a man facing a midlife crisis? What could possibly be a better gift than a stylish, cheeky Funk Tart Bone China Mug with a Cookie Tin for him to keep his comfort cookie stash? “YOU KNOW YOU’RE GETTING OLD WHEN…. There are many more funny Funk Tart Gifts and Cards in stock, with giggles galore you just can’t go wrong. Webkinz Lil Kinz are smaller, cuter versions of the original Webkinz toys, each plush character comes with its own secret code that you use to begin the fun and games at Webkinz. Children love the virtual world, it’s so simple to play, but what they don’t realise while they’re having fun is Lil Webkinz is a brilliant educational aid, they’ll love their cute cuddly toy and once they’ve activated the adoption they can start to play games while learning at the same time. There are fun facts to be learnt at Quizzys. Lunch letters teaches typing and spelling, the contests on the site encourage writing, creativity, and problem-solving. Learn about money in Webkinz World, while earning KinzCash, your child learns how to save and spend money. Webkinz World also helps to teach children about responsibility, caring for a pet, and getting along with others. Every Lil Kinz creature has its own unique personality on the website, so even if you buy two identical cuddly creatures, their characters will be totally different. There are so many adorable Lil Kinz to choose from, there are regular pets such as Cats, Dogs and Horses, exotic beasts such as the Hippo, Lion and Koala, Sea life with Fish and a lovely selection of cuddly Amphibians such as the beautiful Bull Frog. Cat lovers will adore the selection of Kittens at TAOS Gifts, choose from the Black and White Cat featured above, the sweet little Ginger Tom, the pedigree Persian or the pretty Striped Alley Cat. If you prefer big Cats, we have the King of the Jungle, the Lion and his beautiful partner, the Lioness. There’s a huge selection of popular breed dogs too, from the tiny Lil Kinz Chihuahua, right up to the huge St Bernard Mountain Rescue Dog. Lil Kinz cuddly toys have a pet for you to adopt no matter what your preference, just look at the beautiful, colourful Lil Kinz Clown Fish and the exotic Tree Frog. Lil Kinz Elephant is waiting to be adopted too! Lil Kinz Plush Toys are perfect Christmas Stocking Fillers and Birthday gifts for all young Animal lovers, with their small portable sizes (average around 16cm long or tall depending on creature) Cuddly little bodies and cute features. With their secret code that unlocks a whole world of educational fun and games they are terrific value for money. See our full range at TAOS Gifts, we have a zoo full of gorgeous Lil Kinz just waiting to be adopted today! Perfect presents are Perfectly Presented, so let it snow! Beautiful collectible Snowmen have arrived at TAOS gifts in plenty of time for the festive season. Perfectly Presented Christmas Snowmen from the Pavillion gift company are gorgeous Christmas figures and decorations in a delicate winter white colour scheme. Let it Snow is a jolly looking snowman inside a water filled ball, he has his arms (made from branches) in the air and a little collared Dove perched on one arm, he’s wearing a hat, scarf and a big happy smile! The water globe sits on a white base with the words “let it snow” on the front, it comes in a presentation box making it ideal to give as a Seasonal gift. Perfectly Presented Snowmen come in a whole range of figurines allowing you to create various winter scenes or display the whole collection. The family Snowman figurine consists of a snowman, a snowlady and a snowchild, with snowy white bodies and silver branches for arms, they look brilliant with any colour themes at Christmas. The Snowman holds a book, ready to sing carols while the snowlady has a little heart shape bag drapped over her branchy arm, the snow child holds his arms in the air with excitement, they all have huge snowman smiles, very cute! Snowlady, he holds a Dove on his arm while she carries a bag on her little branch arm. Beauty of the Season figurine is a Snowman (or Woman) Holding a silver bucket full of snow-white flowers in one arm, with a little Dove perched on the other. Winter Wonderland is a beautiful white and silver coloured glass tea light holder decorated with various smiley Perfectly Presented Snowmen, a stunning addition to the collection and a perfect Christmas or winter Birthday gift. The Friend tea light holder is a gorgeous sentimental gift to give to a friend, the Snowman stands on one side holding a bag that’s decorated with the words ” Friends warm the Heart” little Doves sit on the Snowman’s arms while at the side there is a little Tea light candle holder. There are many more in this collection with various sentiments and cheerful smiles they are perfect for the festive season. Deliciously smooth and creamy, they are popular with all chocoholics. At TAOS Gifts, we have a whole range of sweets, treats, chocolates and candy, but for the serious chocoholic we have a dedicate chocolate section. The Temptations Guylian Belgian Chocolates Mini Gift Box contains one of each of your favorite Guylian Belgian chocolates, original praline, dark praline and milk truffle. Each one carefully crafted with a blend of delicious white, milk and dark Belgian chocolate. Not one of them has exactly the same marbled look as the other one. They are perfect small gifts, stocking fillers or indulgent treats. Guylian Belgian Chocolate is also available with no sugar added which may be suitable for those on special diets. We also have the Extra Dark Guylian Belgian Chocolate Seashells, in a larger box containing 11 rich, dark chocolate Seashells. Tempt your taste buds with delicious Guylian Truffle, at TAOS Gifts we have a wonderful range of chocolate delights including the irresistible La Trufflina, delicious Belgian chocolate truffles with a rich milk chocolate truffle filling and delicately sprinkled with fine chocolate flakes. Pick and choose your favourite flavour: milk, white or dark. The latest Guylian Belgian Chocolate truffles are the velvety smooth La Perlina Dark Truffles, made from 74% dark milk chocolate and filled with a velvety smooth milk truffle. These chocolate gift boxes make perfect Wedding favours, Stocking fillers, or small token gifts for family and friends. See the full selection at TAOS Gifts Chocolates. Did you know Guylian Sponsor Project Seahorse? Project Seahorse is dedicated to conserving seahorses and other marine life across the world, you can read more about the work they do here. That’s it, that’s the only way we can quickly describe the beautiful, emotional collection from More Than Words from the heart figures by Arora Design. 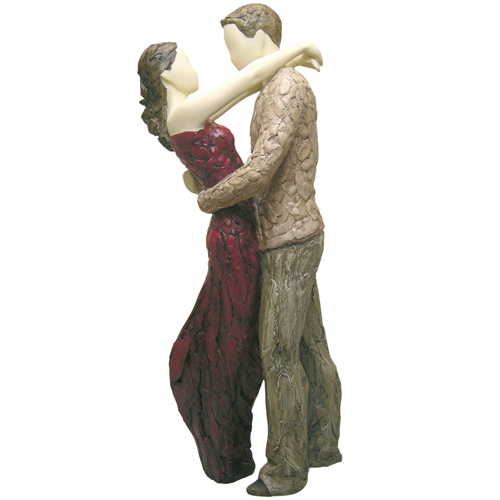 They really are beautiful sculptures, capturing those magical moments we share with those we truly love. The most important and profound relationships in our lives caught in one moment, in subtle but beautiful sculptures. A little girl giving her Mother a bunch of flowers, with a hug and a kiss, a magical moment between Mother and Daughter. A new Father proudly holding his little baby Girl above him playfully, you can almost hear the baby chuckle as the sculpture takes you back to those precious early days. A Mother, carries her young baby in her arms while she gazes as the babies face, you can almost imagine her singing in this stunning Precious Gift sculpture. Proud new Parents sit together as they cradle their newborn in awe in the New Baby Joy sculpture. Loving Moment, perfectly describes the sculpture of a Mother and her Young Daughter, walking arm in arm as they chat and laugh together, such simple moments that bring such treasured memories. My Sister is a wonderful sculpture of young Sister’s hugging, a fleeting moment, perfectly captured forever. If you want to say “I Love You“, “I’m Thinking of You” or “Thank You”, More than Words…. From the Heart has a sculpture that says it beautifully, and eternally. Everywhere you go, you can’t escape the return of Woody and his pal Buzz, Toy Story mania is everywhere you look. Our 4 year old son did not escape the Toy Story mania this year, in fact, to his delight he was quite overloaded with Toy Story goodies and toys, including his very own custom made Toy Story Birthday cake. He really can’t wait until July 2010, when Toy Story 3 will be out at the cinema. Andy’s bed covers are decorated with coloured fondant icing, and the wooden bed was moulded with fondant icing which was hand painted with brown concentrated down sugar paste food colouring. 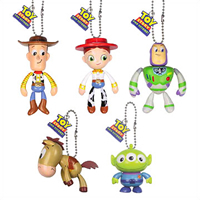 On top of the bed are five char acter Toy Story toys Woody, Buzz, Jessie, Bullseye and a cute Green Alien all taken from Toy Story Gachas which really finish off the yum Birthday Cake. Gachas are surprise toy capsules that each contain a random toy inside from popular themes such as Hello Kitty, Toy Story and Super MarioKart and start at just £2.50 each. On top of the Toy Story cake was a Number 4 Sparkler and 4 self relighting candles from our Party Supplies range. A huge thumbs up from this 4 year old. Got a Birthday party coming up? New in stock at TAOS Gifts are lots of handy tablewear items for your birthday party, celebration, picnic or barbeque. We now have in stock magic self re-lighting birthday cake candles at only 80p for 10 candles, and pink / blue birthday cake candles with holders for just £1.00 for 24, as well as magic coloured flamed Angel Flames birthday cake candles. 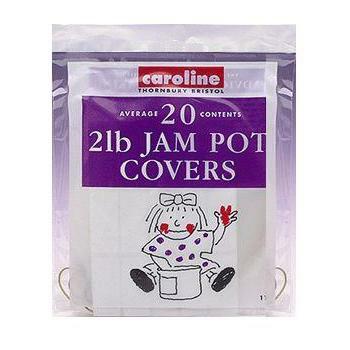 If you are planning on making any jam or marmalade this spring we also have 1lb and 2lb sized jam jar covers. All you need is some fruit, sugar and empty jam jars and your cupboards could be full of home made jam for the rest of the year. We also now stock environmentally friendly birch wood disposable cutlery, of course you can wash and reuse it if you prefer, rather than throwing it away. At only £1.00 for 24 pieces the cutlery is a real snip. Available in packs of knives, forks, spoons or an assortment pack of all 3. Don’t forget TAOS Gifts also stock bright paper plates, paper cups, paper napkins and disposable paper tablecovers in a funky partytime theme as well as jelly/trifle cases in pink and yellow, as well as wooden cocktail sticks, handy sandwich flags, home baking cake cases, easy to use ice cube bags, plastic jumbo straws, wooden ice lolly sticks, wooden toffee apple sticks, great for Halloween, and more for your party. What are you waiting for? Plan your party today! !